What is the difference between sound and noise? Clearly more than the loudness only. Although an aircraft is very noisy, a mosquito at night-time can be more than enough to spoil a good night’s sleep. Instead of looking at the loudness only as a criterion for the degree of noisiness, we shall simply regard noise as what it is – viz. unwanted sound. Since noise is unwanted sound, it is closely connected with the feeling of annoyance. 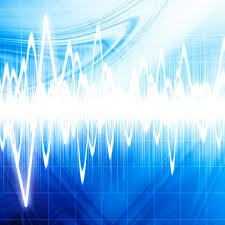 Noisiness is related to the loudness of a sound, which in turn must be regarded in connection with when and where it occurs (cf. mosquitos at daytime vs. night-time). If noise becomes loud enough, the primary concern will be the risk of hearing impairment – not the annoyance. In most countries, governments have issued legislation to regulate the amount of noise permitted to occur as a result of different activities – such as industry, construction work, community activities etc. The aim of such legislation is to reduce the amount of hearing impairment among the members of the community, but also to offer the same people a better life, since secondary symptoms like high blood pressure etc. often occur as a result of longtime exposure to noise. This calls for the ability to assess the noise level to investigate whether there is a risk of hearing impair present, and any regulations have been violated. Hence noise must be measured. Obviously, the way you measure noise must give you the information you need to assess the noise level. Your measurement procedure may, therefore, depend on the type of noise you measure. All measurements made on the same type of noise situation, e.g. industrial noise, must be made the same way, otherwise, measurements will be incomparable. This calls for standardisation of measurement procedures. Therefore, we must look into the nature of sound, as seen from a measurement point of view – which is what the following articles are all about. The sound is the mechanical vibration of a gaseous, liquid or solid elastic medium through which energy is transferred away from the source by progressive sound waves. This is the strict physical definition of sound. More generally we restrict the term sound to be pressure variations which can be detected by the human ear. The traditional way of measuring pressure is by means of a barometer. However, a barometer is too slow to detect the normal pressure variations in audible sound. Often, the sensitivity is too low as well. The human hearing mechanism requires that the variations occur at least 20 times a second, but not more frequent than 20 000 times a second. The number of variations per second is called the frequency of the sound and is expressed in hertz (Hz). Hence, the human hearing is able to hear sound with frequencies ranging from 20 Hz to 20 000 Hz, the latter was often written as 20 kHz. Of course, pressure variations with frequencies lower than 20 Hz should also be regarded as sound. They are normally referred to as infrasound. Sounds with frequencies higher than 20 kHz lie above the audible region and are referred to as ultrasound. in which c is the speed of sound, f the frequency and l the wavelength. An inspection of this relation will reveal that the wavelength is inversely proportional to the frequency, i.e. low frequency means a large wavelength and vice versa. Examples: at 20 Hz the wavelength is 17 m, while at 20 000 Hz it is merely 1.7 centimetres.